While April is a time many NFL stars get drafted, October is a month where the ones who weren’t just fight to stay on the team. An undrafted player from a small college in Minnesota, Adam Thielen doesn’t have to worry about his spot on the team. Adam Thielen is currently in his fifth professional season in the NFL. All five of those seasons have been with the Minnesota Vikings. In fact, through five years, Thielen has played in every single game as a Viking. Adam Thielen’s net worth sits at $5 million. The Minnesota wideout is off to a fast start for the 2018 campaign. Through his first five games this season, Thielen has recorded at least 100 yards receiving in each one. He is a good part of the reason the team can compete with anyone week in and week out. Adam is currently in the middle of a four year contract valued at just over $19 million. Upon signing the contract he received a $4 million signing bonus. However, his current contract is proving to be an excellent value for the Vikings. Top wideouts are currently making in excess of $15 million a season. Thielen is averaging just shy of $5 million. Upon completion of his current contract, Thielen would have earned more than $25 million in on the field earnings. However, it is to be seen if his current contract will be completed. Although the Vikings took a chance on Thielen when nobody else would, They recently handed out a $72 million contract to their other top wideout, Stefon Diggs. Thielen really came into his own during the 2017 NFL season. He recorded personal career highs in receptions, 91, and receiving yards, 1,276. Through the first five games of the 2018 season he is on pace to smash those previous bests. 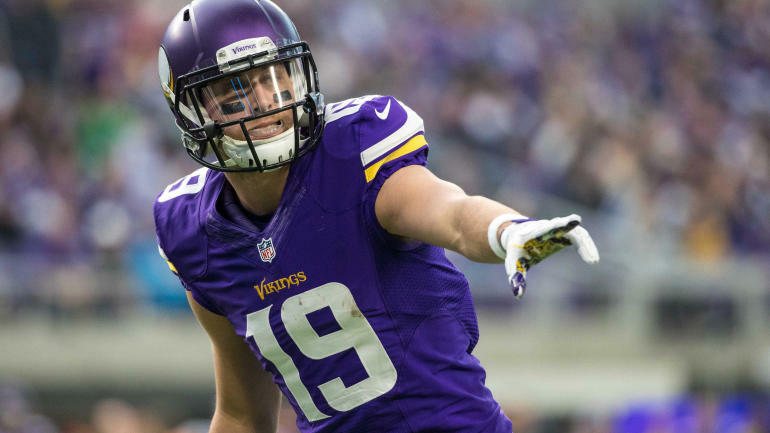 With over 3,000 career receiving yards and much respect around the fantasy football world, Adam Thielen’s net worth is not indicative to his performance on the field. If Adam can keep up his play and consistently provide the Vikings with the receiving threat they need, then expect Adam Thielen’s net worth to increase in the years to come. Although he will only get older with time, if he is able to ink a new deal while he is still at the top of his game, then watch out. His net worth could easily jump off the charts.